Did you know that the fashion industry is the world's second largest polluter? (Right behind the oil industry)! We consume 80 billion pieces of clothing each year (up 400% from 2 decades ago). And sadly, a large proportion of this ends up in landfill, or is shipped overseas to developing countries, which can crush local manufacturing industries. You can help reverse these crazy statistics just by thinking before you buy, and by asking yourself how much use you'll get out of a garment. Will you wear it more than 30 times? Is it high quality? Is it made ethically from eco-friendly textiles (be they organic, low-impact, recycled or repurposed). Buying second-hand is a great option too. Related: How To Have A More Ethical Wardrobe. The amount of waste generated from food packaging is huge. (Australian's throw away around 200kg of waste each year). So much of this packaging is unnecessary too. I get that it can be convenient, but there are also simple ways that you can create your own convenience too. For example, instead of buying single-serve, microwave ready-in-minutes rice packets or tinned legumes, you can simply cook up a large batch of them, and then store them in small containers in the freezer. It's so much cheaper too! Great things to buy in bulk are legumes, grains, spices, nuts, seeds and baking products. (And cleaning products too)! Your best option is to shop at bulk food or organic stores, where you bring in your own bags or containers, or use recyclable paper bags. If you can't always make it to a store like this, you can still take a positive step by buying in larger quantities, which will still result in less packaging waste. The more you think about it, the crazier it seems that we put all these resources into creating items like plastic containers, cutlery and coffee cups, only for them to thrown away after one use! Aussies use 1 billion 'disposable' coffee cups each year. 1 billion?! Most of these sadly head straight to landfill too, despite them being labelled as recyclable, compostable or biodegradable. The simple solution is just to BYO! Bring in your own coffee/tea cups, takeaway containers and cutlery. Some establishments will even give you a discount for it, and it'll taste nicer too. Better still, when you can, take a moment to slow things down and savour your drink or meal at the restaurant. Remember to give yourself time to live and enjoy life's little luxuries. Look for eco-friendly cleaning products at the grocery store, which are made using non-toxic, natural ingredients. Buying them in bulk size and in more concentrated form will result it less packaging too. Or why not try making your own cleaning products? We use 1 litre of vinegar with a few drops of lavender and eucalyptus oil to make an all-natural fabric softener. For surface cleaning, instead of using paper towels, choose organic cotton cloths or even better, cut up any older tea towels, sheets, towels or t shirts which are at the end of their original life into rags. We cut these up into squares about 30 x 30 cm and keep a stash of them in the cleaning cupboard. If you are cleaning with these rags and simple botanical based cleaners, just chuck them in the washing machine with a general load after use and they can be of service for ages. Opt for natural ingredient (cruelty-free) cosmetics. They're better for your own health and for the planet's. 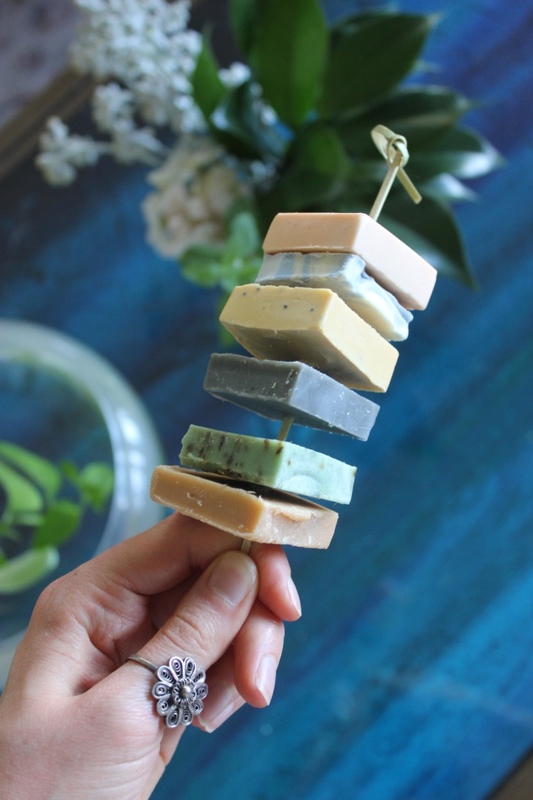 Aim for products that come in more easily recyclable packaging (such as glass containers), or ideally those without any packaging (like soap and shampoo bars). As documentaries like Cowspiracy have shown, a whole foods, plant-based diet is the most sustainable way you can eat. If you're not yet ready to commit to a fully vegan diet, you can start by increasing your number of weekly plant-based meals. Resources like One Green Planet, Vegan Easy and Finding Vegan will give you a huge range of ideas. You can check out our own plant-based recipes too. Drive less. Walk or cycle where you can. Catch public transport. And if you do need to travel by car, consider ride sharing or using a green car rental service. This mantra reminds us of the order in which we should consider our waste management. Avoid: Firstly, aim to avoid creating waste in the first place - ask yourself if you really need the item (e.g. fashion piece), or if there is a zero-waste way of obtaining it (e.g. purchasing food from a bulk store, and bringing in your own bags). Aim to say no to fruit and vegetables wrapped in plastic. Reduce: e.g. purchase items with minimal packaging or in a bulk size. Reuse: e.g. go op-shopping (or 'thrift' shopping), repurpose worn out clothing or bedding for cleaning rags, and reuse containers like glass jars for storage. Recycle: Remember that this step comes FOURTH in the hierarchy, as it still can take significant resources to recycle items. It's still a better step than dumping things straight in landfill though, as it saves on raw materials. Different council areas have different rules of what they do and don't recycle, so it's a good idea to check what your local council can recycle. Composting food scraps counts as a form of recycling too, so it's great to have a compost bin or worm farm if you can. Dispose: Lastly, if all else fails, dispose of the item. Always remember to dispose of things responsibly though! Don't litter items in the street or in the ocean. Sometimes our best environmental sustainability intentions may be compromised; forgetfulness, spontaneity and convenience can get in our way. But, remember that even if we don't always go with the most sustainable option, it's still preferable to do the best we can. Why not look after this planet as much as we can hey? It's the only one we've got. What are your simple tips for living more sustainably? Let us know in the comments!